Brighton and Hove News » Saturday 21 May 1983 – Brighton & Hove Albion’s greatest day? 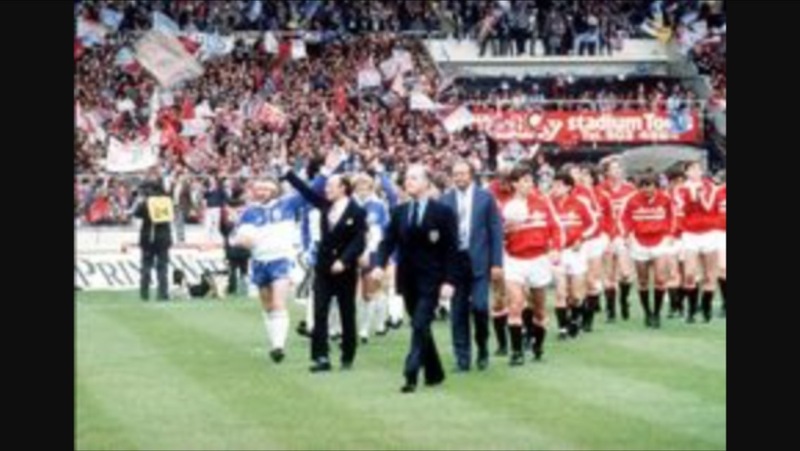 Saturday 21 May 1983 – Brighton & Hove Albion’s greatest day? Saturday 21 May 1983 in Brighton and Hove was like no other day in the twin city’s history. For on this day 33 years ago Brighton and Hove Albion played in the FA Cup Final at Wembley in front of 100,000 fans and millions watching on the BBC in the days when only handful of live matches were shown on the available four channels. The match was more than likely considered more important than the Champions League Final. The late Brighton-based journalist John Vinicombe described the FA Cup as “the most precious prize in sport”. The week building up to the final was just as astonishing. Every house, office and building in every street in Brighton and Hove was decorated in Albion colours. Those who had never been interested in football in their lives were bubbling with excitement. Even a doctors’ surgery in Hangleton in Hove diagnosed “cup final fever”. The obvious cure, a precious match ticket. Of course Albion drew with Manchester United on the day after coming agonisingly close to winning the cup in the last minute of extra time as Gordon Smith became infamous for one of the biggest and best-known misses in the history of world football. Today Manchester United play in the FA Cup final again – against Albion’s rivals Crystal Palace. The match, barely discussed, brushed aside to a 5.30pm kick off, is sadly now just another game. Many people won’t even bother to watch a spectacle once the greatest day of the football season, now a tournament in which some competing teams use their second string. It won’t compete with 21 May 1983. For many Albion fans the greatest day of their lives.